Labor and Delivery Nurses will appreciate this post. My only problem with it is that she keeps saying “I’m just the Nurse…”. The word “just” is where I’m having difficulty. Perhaps she’s using the word to be self-deprecating? I’m not sure. What do you think? 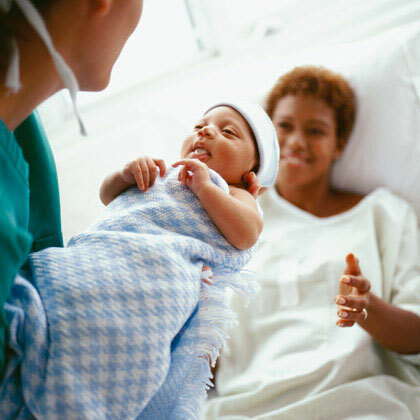 As pointed out in this post, your first priority while in that labor & delivery room is your patient and the baby/babies who are about to be born. We here at DiversityNursing.com appreciate what all Nurses do every day. We would never refer to you as “just” a Nurse. Of everyone in that room, you are the most connected to your patients and their needs. You are their advocate and recognize when something is going well or not. You share in their joy and sometimes, their sorrow. You put your needs aside to take care of your patients and for that, we are grateful. Susan Jolley, a registered nurse from Texas, has shared a beautiful tribute to delivery nurses, highlighting the amazing and sometimes heartbreaking work they do on a daily basis. 'I am just the nurse who was there during the birth of your child. The post then goes on to explain that midwives are also there during some truly difficult moments. 'I am just the nurse who vigilantly monitored your baby's heartbeat and recognized that he was in distress. The post has already been shared over 55,000 times with many mums sharing their own stories of how they have been helped by labour and delivery nurses.